Here is a lesson in the importance of proper diagnosis. A 30 y.o. patient came to me as a referral from an individual whom I saw once a year-and-a-half ago for back pain. The prospective patient, whom we’ll call Dwennon, came to me for jaw pain, what he was calling TMJ. He told me that he had seen a chiropractor twice and a masseuse once. In each instance, the pain went away only to return shortly thereafter. I informed him that if he was enjoying good results with those approaches that there was no reason to believe that working with me would be any different, but that I would be happy to evaluate him and give my findings. After the initial interview, Dwennon got the Acugraph, which measures the distribution of electricity through the 12 main channels of the body. Particularly noticeable were low lung, low lymph (TE), and a wide split in the large intestine, all pathways of the upper body. All these channels can connote a very common problem seen in the clinic: poor fluid metabolism. Since Dwennon said he exercised regularly and is not overweight, I willingly chalked some of these findings up to his cannabis smoking. The physical examination would shed further light. 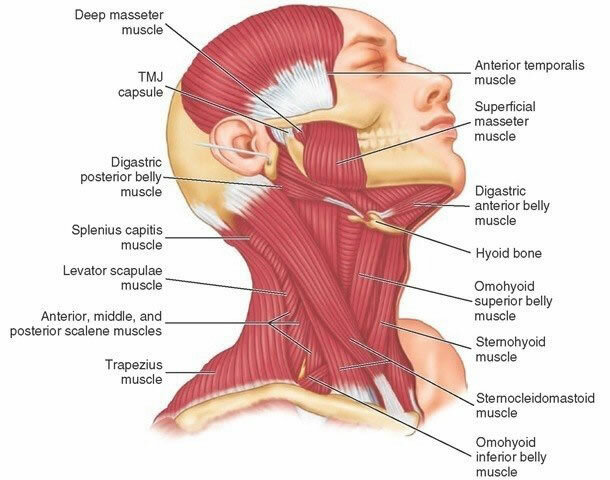 Remarkable findings from the physical exam involved tenderness all along the interior jaw line, with greater tenderness on the right, even though his pain was on the left. There was also pain at the juncture of the jaw with the ears and bilateral maxillary tenderness indicating an on-going infection. In asking him about sinus issues, he said he always had them and “come to think of it, the jaw pain started after a recent cold had run its course.” Signs were pointing more conclusively toward an infection being the source of Dwennon’s jaw pain, that it had nothing to do with muscular and skeletal issues involved with TMJ. “Kinesiology” is also known as “muscle testing.” It is most commonly used among homeopaths, but there are a few chiropractors and acupuncturists who also use it. In the context of Chinese herbal medicine, it is a way of shedding further light on the nature of a condition to be treated by Chinese herbs or herbal formulations. In particular, this has to do with an appropriate treatment strategy, since numerous herbs may produce a specific effect, though the means by which the effect is achieved can vary. A bit more on this matter in the conclusion. For now we must be satisfied with the knowledge that Dwennon tested strongest with two formulations from two separate treatment categories: one that nourished the lung and the other that resolved phlegm. 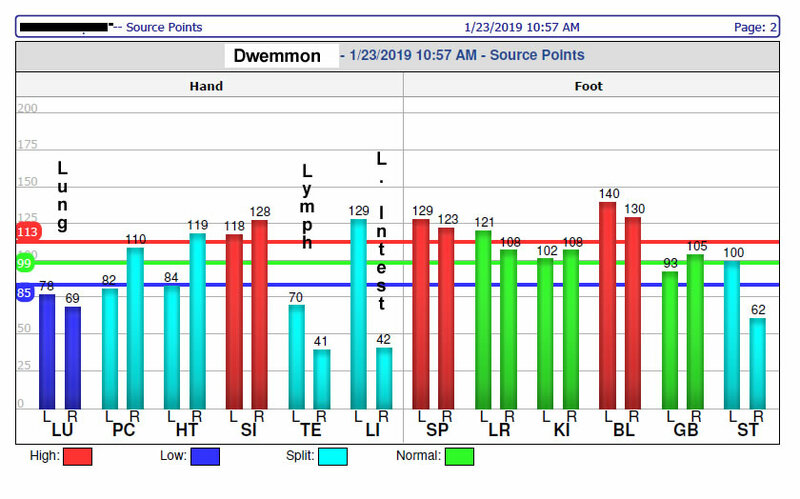 Dwennon agreed upon a treatment plan of one month and reported feeling improvement of his symptoms after his treatment and much improved sleep quality in our phone conversation the following day. A visit two weeks later revealed little to no tenderness along the jaw line and he reported that his jaw was back to normal. Dwennon’s condition was infection-oriented, which is why the previous interventions of chiropractic and massage proved temporary. Only after being queried upon examination did he remember that the onset of the jaw pain was after contracting a cold. Muscle testing confirmed that infection from an underlying lung and lymphatic hypofunction shown on the Acugraph were the physiological matters requiring assistance to restore balance to the distressed area. Dwennon was advised to complete the pills he was given to reinforce the beneficial results and to clear out any lingering infection. Our next task will be to address the chronic sinus issues. The case of jaw pain can be of at least two causes: infection or musculo-skeletal. Only proper diagnosis through interview and examination can determine which. Even given proper diagnosis, however, the right treatment course still must be selected. This is often no easy matter. In Chinese herbal medicine at least three factors must be accounted for before treating an infection: 1) the location and level of the infection, 2) the chronicity of the infection, and 3) fire. Muscle testing showed that Dwennon needed no fire supplementation. He responded positively to herbs that worked at a deep level of the physical substrate where antibiotics and bitter draining herbs often do not reach. This is a common presentation among chronic conditions as the ailment has had time to wear down the immune system and penetrate deeper through the physical layers of the body. These findings are noteworthy because without muscle testing the same diagnosis could easily have lead to selecting “fumigation” herbs that are drying, herbs to which he actually responded weakest! By contrast, he responded strongly to fluid nourishing herbs to be assisted by phlegm resolving herbs that possess a “washing” type action due to their saponin content. Though not beyond the scope of Chinese medical treatment strategies, it is certainly not common and one only derived in this case through muscle testing, a centerpiece of my herbal approach.